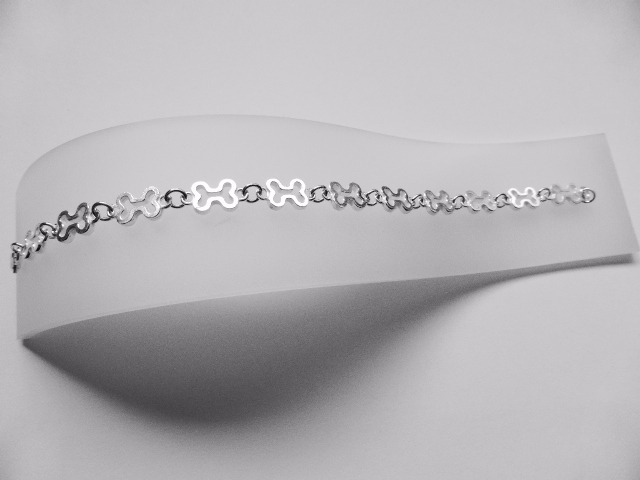 Our Bone shaped charm bracelet is a unique design, inspired by our popular paw print bracelet. 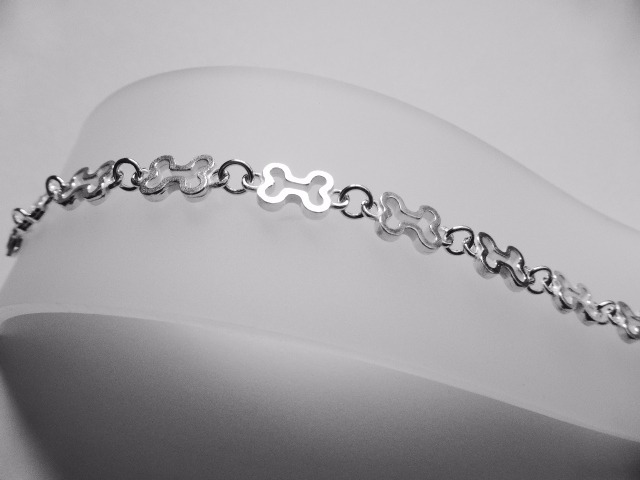 Charms clip onto the links between each dog bone. This means neither swamp the other but compliment each other perfectly. 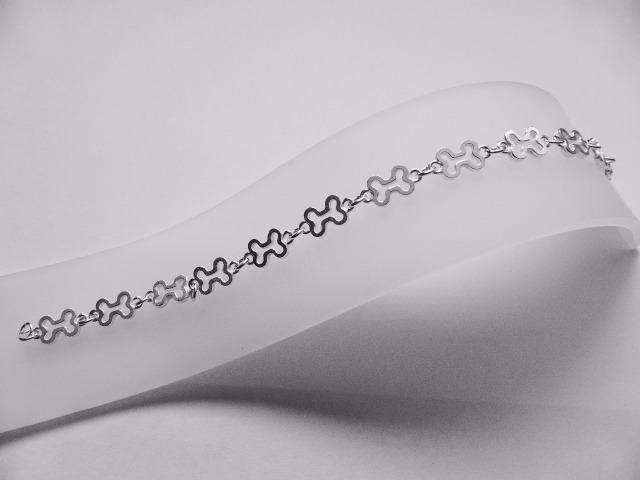 Using only the best quality 925 Sterling Silver and made in Birmingham, England the craftsmanship is outstanding. 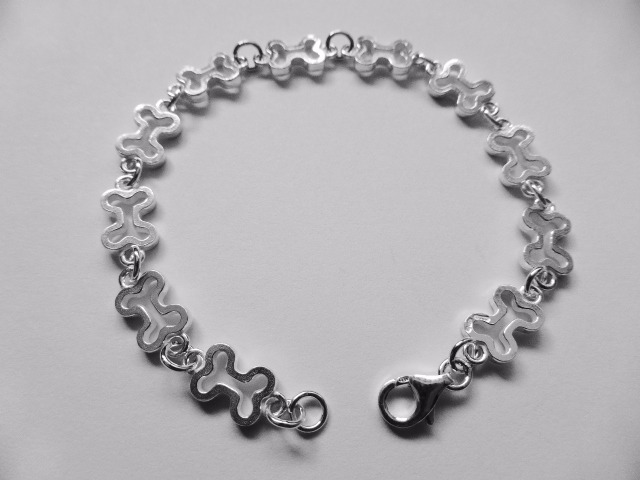 This bracelet is beautiful and can be worn with or without charms. It promises to be the talking point of your outfit. 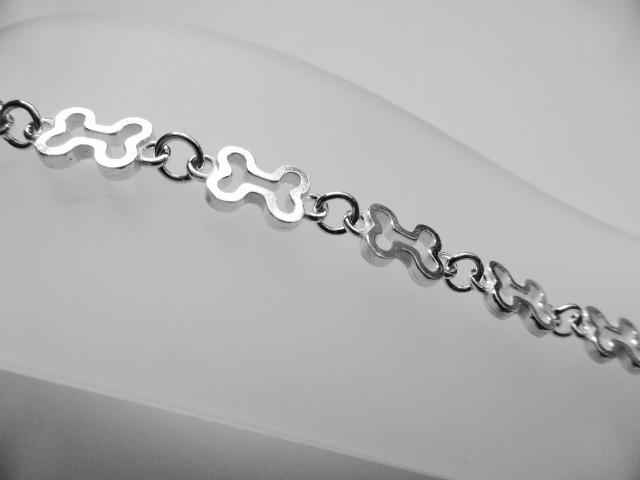 These sustantial bracelets are hallmarked at Birmingham assay Office and have good quality clasps.